Lightroom can’t perform well if the operating system is struggling. 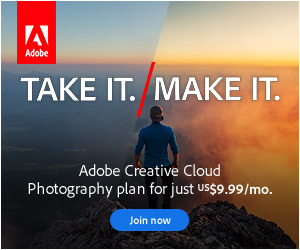 While not specific to Lightroom, it’s worth running regular computer maintenance and optimizing other software running on your computer. This includes operating system and driver updates, keeping hard drives in good condition, and minimizing the number of other programs running in the background. Updates to the Windows or Mac OS X operating systems not only fix bugs and add security fixes, but also improve its performance and compatibility with applications. Windows service packs and other updates are available from the Microsoft Windows Update website and Mac OS X updates are downloaded from the App Store. Windows Update includes some drivers, however these are rarely the latest, so you’ll need to visit the component manufacturer’s website, or for laptops, the laptop manufacturer’s website to get the latest drivers. It’s important to keep drivers up to date, especially for the graphics card and input devices such as Wacom tablets and other mice, as older drivers can cause crashes as well as performance issues. Most Mac OS X driver updates are downloaded from the App Store, but you’ll need to check manufacturer’s websites for third-party hardware drivers such as Wacom tablets. In the previous post, we said that it’s important to keep enough space available on your hard drives, especially for the boot drive and the drive containing your catalog. Both the operating system and Lightroom need room to work. You can clear space on your hard drive by emptying the Recycle Bin/Trash, deleting files (be careful!) or moving them to another drive. You can also clear out temporary files and caches to help to free up additional space. Both operating systems include tools to make this easier: Windows 7, 8.1, Windows 10 and Mac. If you’re working with spinning drives on Windows (not SSD’s), you also need to defragment/optimize the hard drive from time to time. This moves the data back into contiguous blocks, making it faster to read/write. Microsoft provide instructions for Windows 7, 8.1 & 10. The Mac operating system automatically defragments small files, so it’s not necessary unless you’re working with large numbers of huge files (e.g. 1GB videos). Other programs running in the background also reduce the resources available to Lightroom. To make these resources available to Lightroom, quit other open applications, including those running in the system tray (Windows) / menubar (Mac), and prevent unnecessary programs running on startup. To stop apps opening on startup, try these instructions for Windows and Mac. Anti-virus/security software running real-time scans also use your computer’s resources, so it may be useful to pause the scan while you’re working in Lightroom, and exclude specific files such as the catalog and previews. The same goes for other software that runs automated tasks in the background, such as backup software or cloud sync such as Dropbox. If you’re struggling with performance issues, temporarily pausing these tasks can help. Finally, it’s worth rebooting from time to time… yes, even on a Mac! Just checked my laptop drive and is shows 0% fragmentation and I can’t remember when I may have defraged. Thanks for sharing that tip Larry! 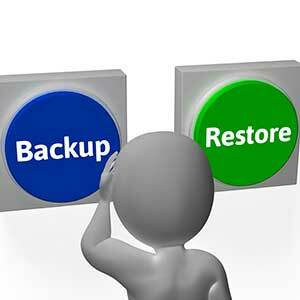 It helps to use Jim Keir’s [paid] plug-ins: Backup Cleaner and Preview Cach Manager. The name clearly reflects the function. They can be adjusted to individual needs. They help to keep the relevant folders clean, tidy and compact. An excellent addition to the inherent ‘optimization function’ of Lightroom itself.